William Morrow Paperbacks, 9780061711503, 304pp. 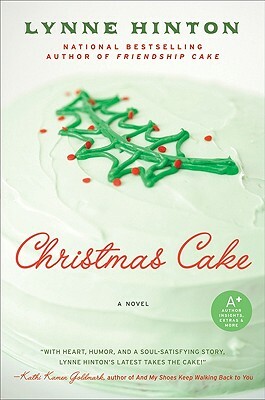 In a long-awaited sequel to her beloved national bestseller Friendship Cake, author Lynne Hinton returns to the town of <?xml:namespace prefix = st1 ns = "urn:schemas-microsoft-com:office:smarttags" />Hope Springs with Christmas Cake, a heartwarming story that celebrates the close and lifelong bonds among women. Set in a small fictional Southern community as unforgettable as Jan Karon’s Mitford, Christmas Cake movingly addresses issues of life and death, faith and love—and good cooking! A retreat leader and writing teacher, Lynne Hinton is the author of numerous novels including Pie Town, Wedding Cake, Christmas Cake, Friendship Cake, Hope Springs, and Forever Friends. She also writes a mystery series under the name Jackie Lynn. She lives in New Mexico.